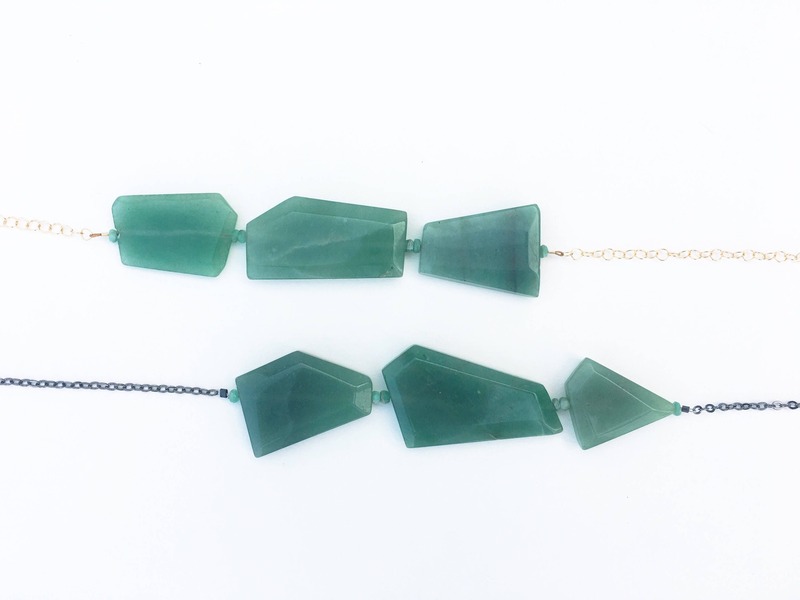 Geometrically-cut aventurine stones are strung on thin wire, adorned with a two faceted emerald beads between each stone. 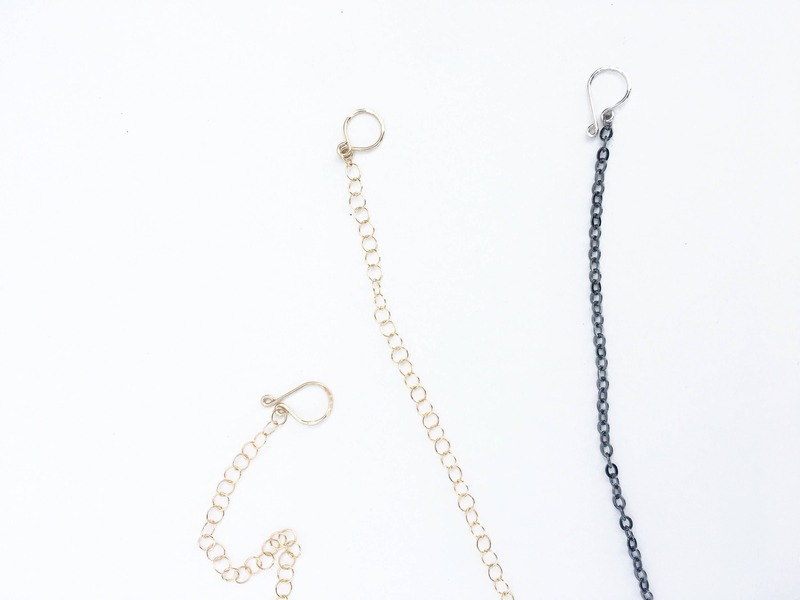 You choose between a gorgeously bright 14k gold filled chain or a dark and luxurious oxidized sterling silver chain. 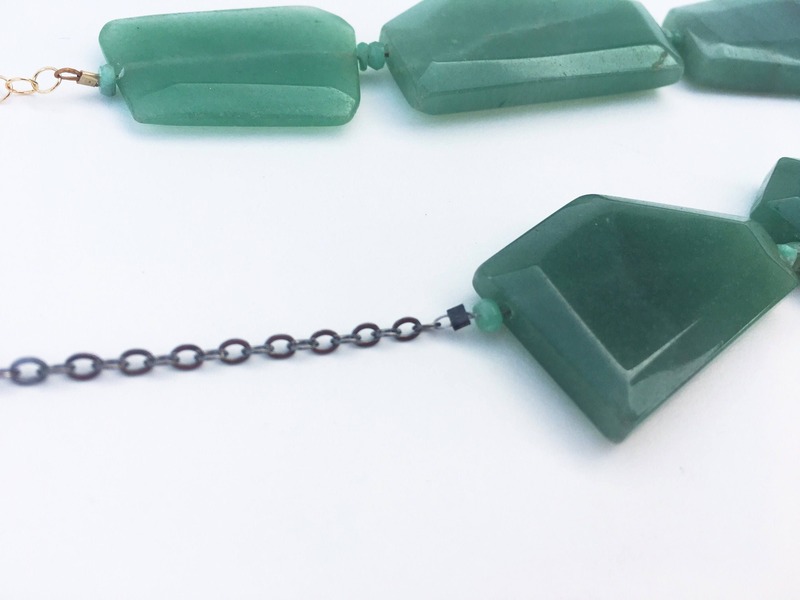 A hand-formed and hammered hook and eye closure is made out of either sterling silver or 14k gold filled wire to coordinate with the chain. 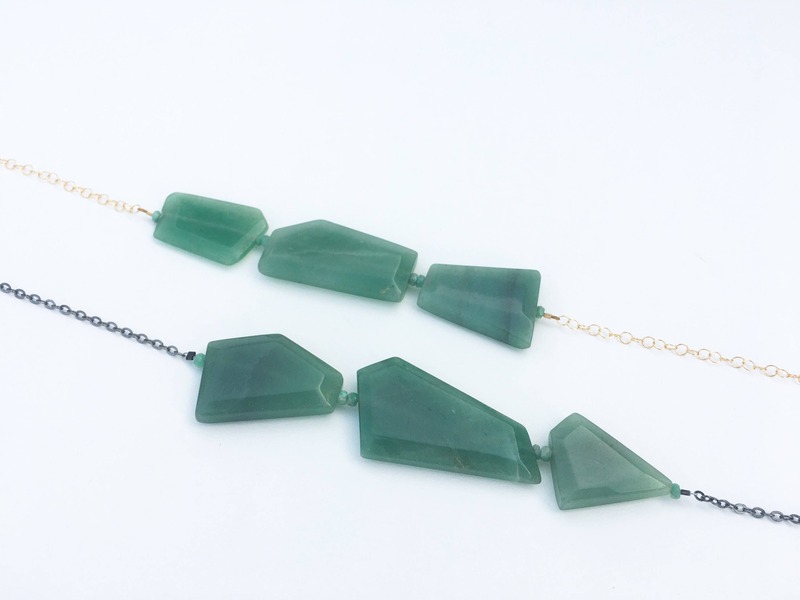 Graduated sizing of the aventurine slabs emphasizes the center of this necklace, with the largest piece as the focal point. 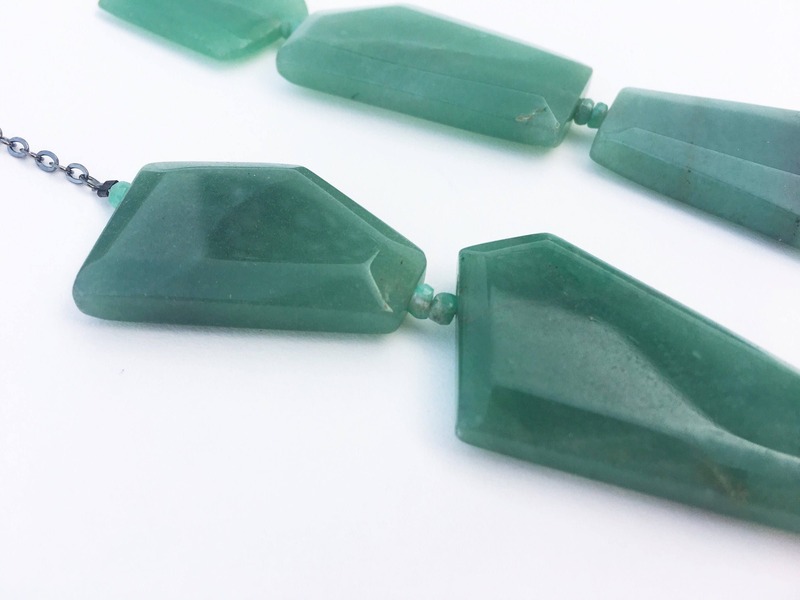 Aventurine is the stone of opportunity, and emerald is a classic stone of love. 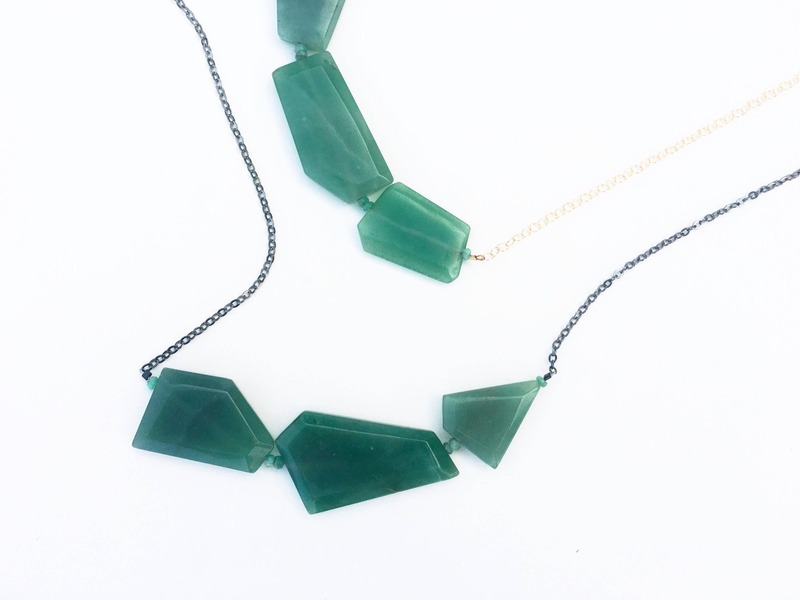 Wear this beautiful statement necklace as you move through life with a heightened confidence, falling in love with the world around you and revealing where your true passions lie. 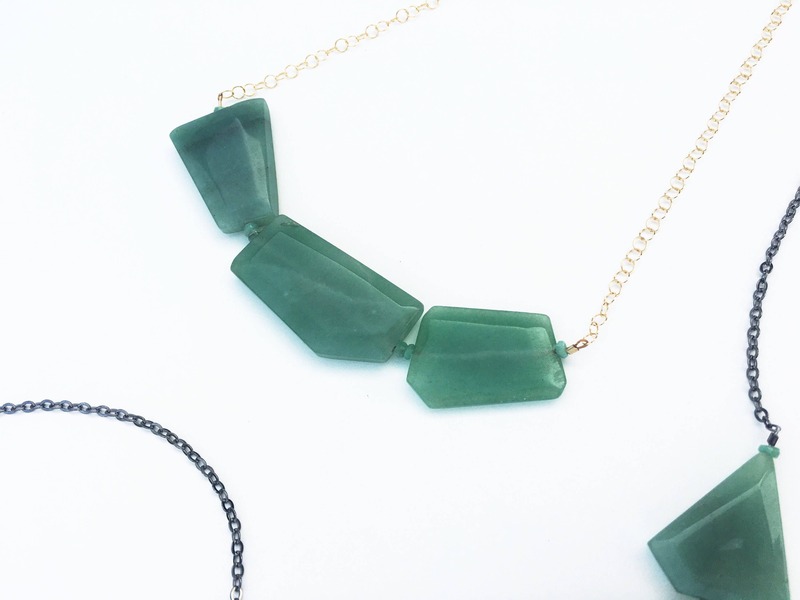 * Please note that the actual pieces of aventurine may vary from the pieces shown in the picture -- they are all unique! The general aesthetic will be consistent with what is shown. Only 14k gold filled wire and chain is used for the rose gold option. With reasonable care 14k gold filled materials will not peel or flake, and should last as long as solid 14k gold jewelry. It is safe for most people with sensitive skin.